This week has just been lovely! I have really appreciated smiling, laughing and playing with the children. We haven't been far or done anything different but after having a hard few weeks I have missed doing the little things with them. 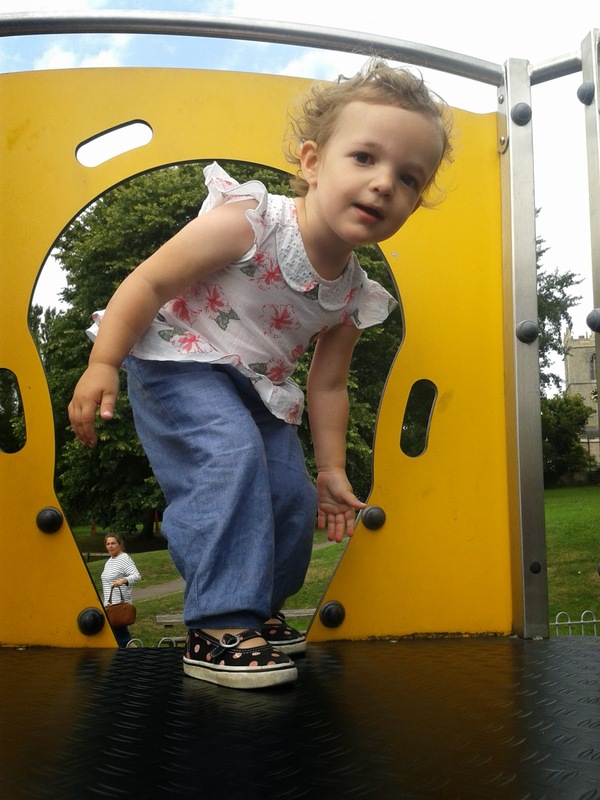 I have found a great balance this week with playing, blogging and getting general jobs done. 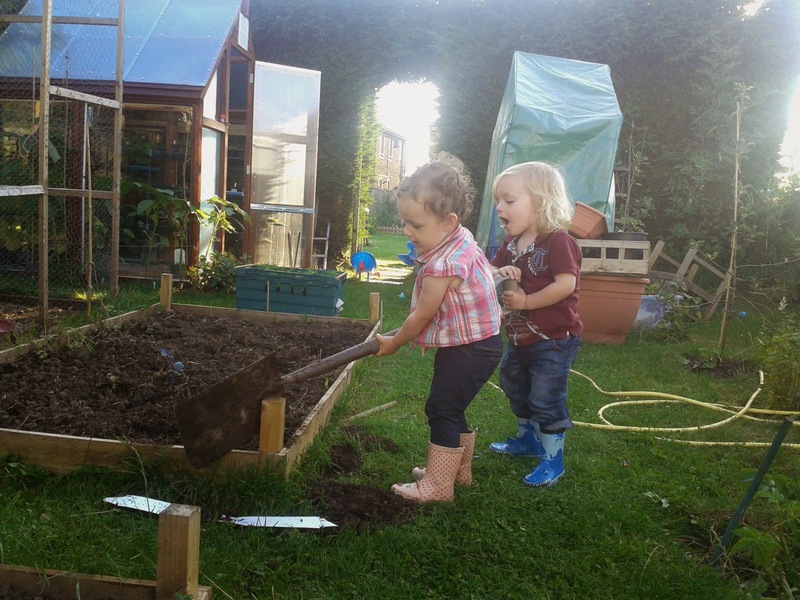 On Monday we were checking our vegetables when our two little helpers started to dig up one of the raised beds. Luckily there wasn't anything in there as we had just cleared out the last of the peas. I loved how they realised how heavy that the spade was and worked together to dig up the compost. I have to admit that this mess was caused by me. 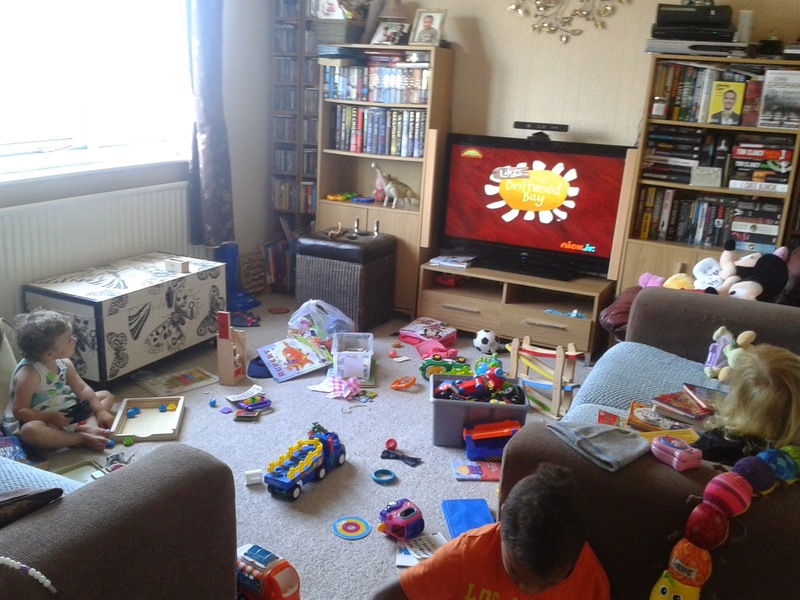 I spent the morning organising the twins toys and had a good clear out! 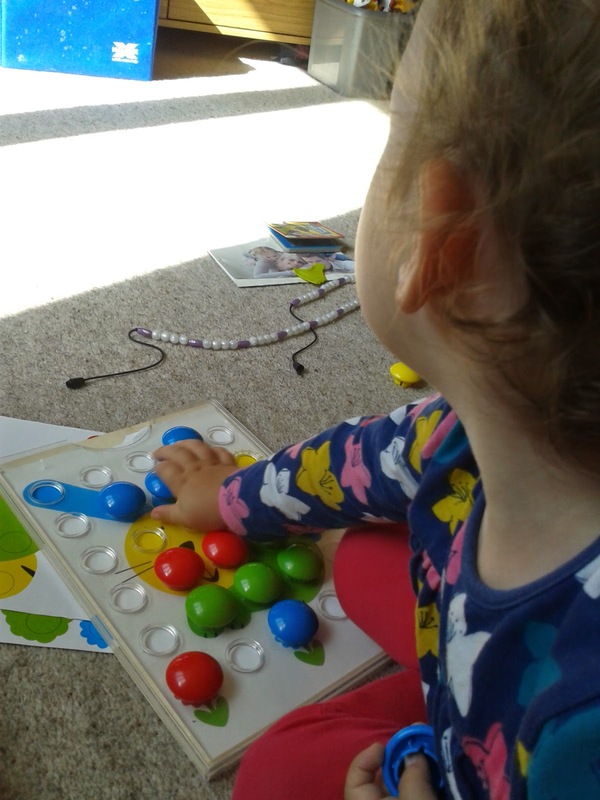 I have found that having their toys in individual boxes has made it easier for them to find what they want to play with and has also made the hard job of tidying up easier! On Wednesday the twins slept at different times during the day. This gave me a lovely opportunity to spend a bit of one to one time with them both. 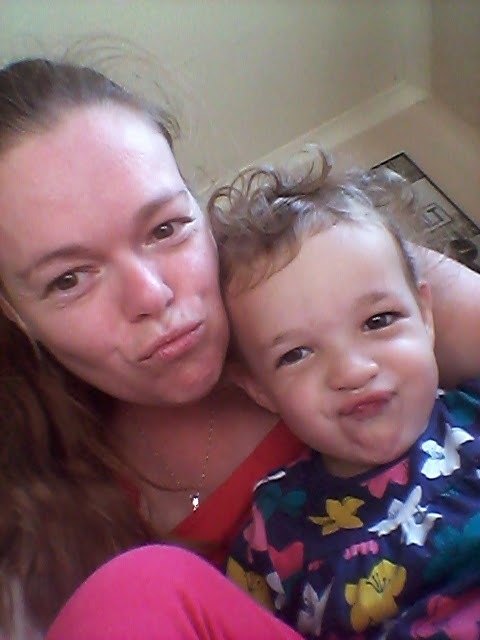 It was car play with Taylor and playing with the coloured pegs and doing silly selfies with Isabella. On Thursday it was time to visit the dentist for a check up for all three children and myself. Thankfully my mum came along to help me with the kids. Isabella did so well and opened her mouth for the dentist to look at her teeth whereas Taylor just said no and clamped his hand over his mouth! No one was looking at his teeth! Both Joseph and I also had clean bills of health! Afterwards we took the children to the park to play. They excitedly ran from one piece of equipment to another, they loved it! We finished the day with some outdoor play in the garden before bed. On Friday we started making Loom bands to send to Skye to help make his dream come true of making a huge loom band that will reach the moon. We were so touched when we read about Skye's battle with cancer and both Joseph and I knew that we had to get making! So far we have made over 6 foot of bands and are still going. 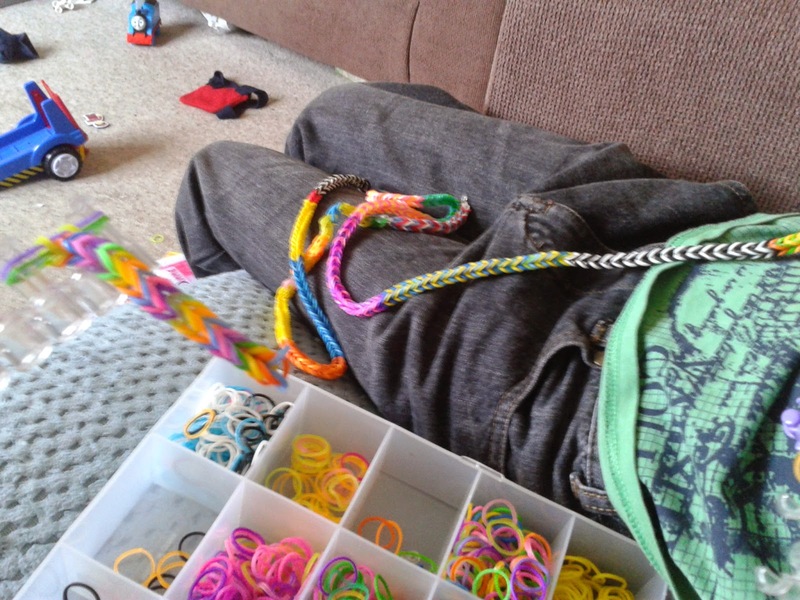 If you have kiddies who love making loom bands please visit Loom to the Moon Facebook page and join in! On Saturday we had to get some new tyres for the hubby's car. 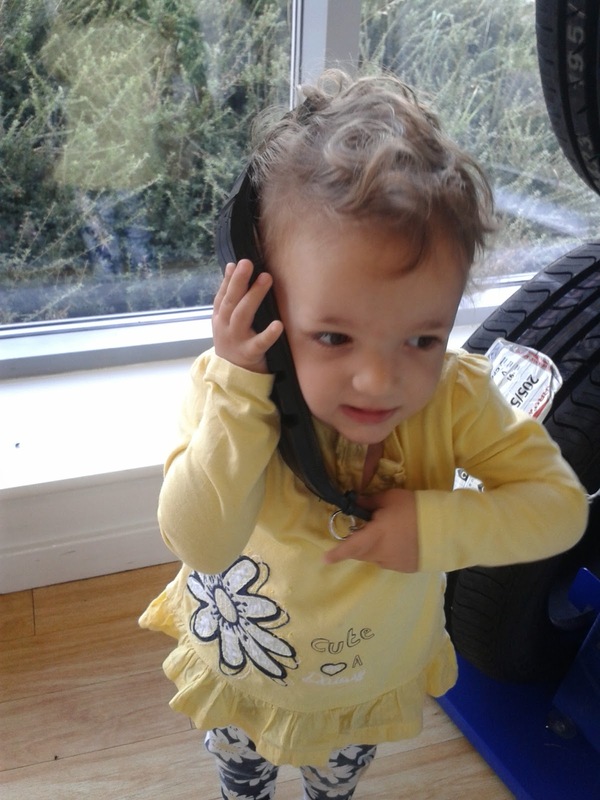 I love the children's imagination, this piece of sample tyre became a telephone! We then went for lunch to my mother in laws house and got our spa treatments and sessions booked for our holiday to Center Parcs. It is now only two weeks until we go and I am getting so excited! We are all well and truly ready for the break! 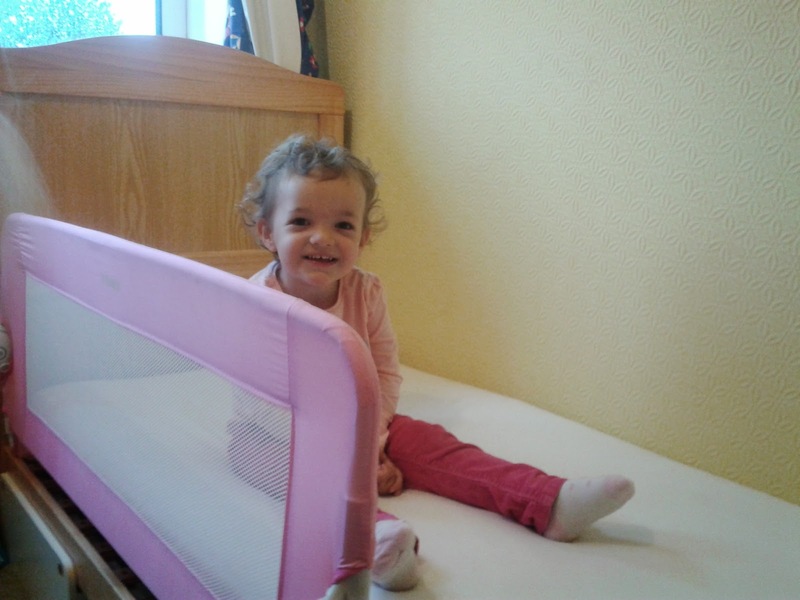 Little Isabella has recently discovered how to climb out of her cot! So today we have transformed her cot into a bed! She looks so grown up sat in it. I have got to admit to having mixed feelings about bed time tonight. 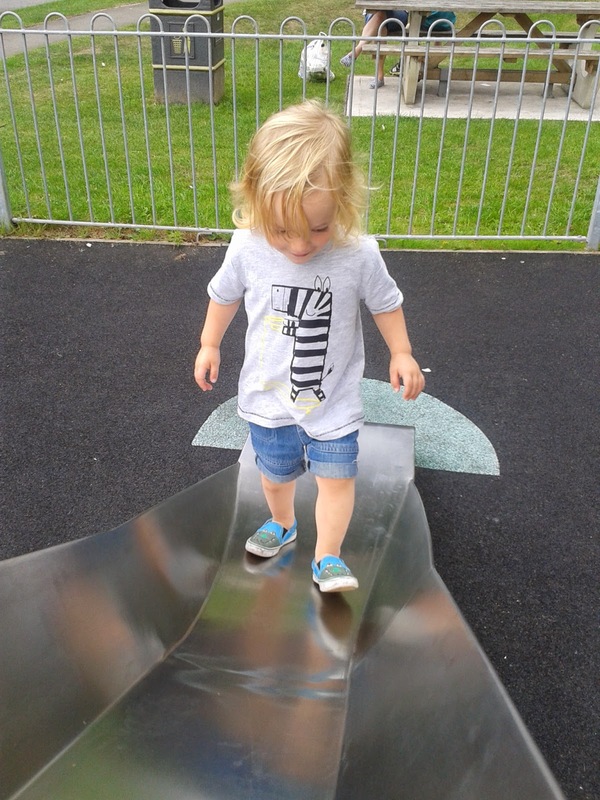 We are not brave enough to take Taylor's off as well as he messes a lot at bed time but we are hoping that the promise of making his cot into a big boys bed will encourage him to go to sleep better. We will see! I love that first photo of them digging - just gorgeous and that loom band is massive - well done! I hope the cot move has gone well! I love the top photo of the pair of them gardening, they look so involved. Well done on the looming, we need to send ours off asap. Wow! Well done on the looming! Amazing! We need to take the bars off Busby's bed in the next couple of weeks!